The recent snowfall brought to mind another snowy day that I’ll always remember. As another barrage of sleet and snow began, I blasted my car’s heater to clear the windshield. It was around 10 pm on New Year’s Eve and I had stayed later than I should have at my friend Pam’s house. My children were exhausted from an evening of good food and an impromptu dance party. We were having such a good time that we continued our celebration even though snow had begun to fall faster and earlier than predicted. Now we were paying the price–the slippery three-mile trip between Pam’s home and mine seemed to be taking an eternity. 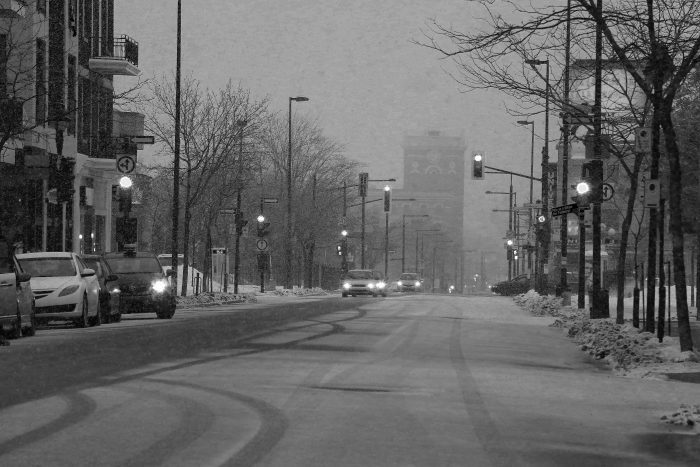 The weather had not deterred many from going out to holiday parties so the street we traveled was far from empty. About halfway home, my daughter Lauren told me that a man in the car next to us was trying to get my attention. I glanced over and didn’t recognize the car or the driver. My first instinct was to ignore him, thinking he’d indulged in too many holiday spirits. The road conditions were so treacherous that I was more interested in keeping my family safe than chatting with a stranger. However, when he continued to frantically wave and drive alongside us, I rolled down the window to see what he wanted to say. I nodded and thanked him for his concern and advice and the man drove ahead while I turned on my blinkers and slowed my car down to a crawl. What had started off as a slow trip home now seemed as if it would never end because I kept my speed at under ten miles per hour. We were about five blocks from home when, to my horror, a pileup of cars began at the traffic light. In what seemed like slow motion, each car in my lane skidded and smashed into the car before it. Since I was traveling so slowly, I was able to glide to a stop without an impact. And since I wasn’t driving fast, the car behind me also had plenty of time to stop. I said a quiet prayer of thanks and felt grateful to the kind stranger. A few minutes later, we arrived home. The kids were in a rush to get into the house but I still needed to check my tire. When I went around to the passenger side of the car, I was astounded. The tire, which I expected to be nearly shredded, was perfectly normal. I’ll never know who that man was and why he was so insistent, but I feel that he must have been a guardian angel, sent to allow us to greet the new year safely and soundly. From that day on, I’ve kept my heart and mind open to strangers…you never know who is trying to deliver a message that you need to hear. Inspired by her own long-term relationships, Shelley Johnson Carey enjoys exploring themes of friendship in her writing. 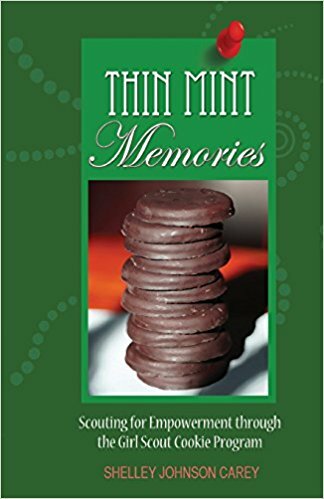 She is the author of the book, Thin Mint Memories: Scouting for Empowerment through the Girl Scout Cookie Program. Shelley lives in Maryland, with her husband and two dogs, Daisy and Buddy, and less than three miles from her now grown children. Find her online at http://www.shelleyjohnsoncarey.com.